When the baby inside your tummy is ready for an ultrasound, nothing is more exciting than actually seeing your baby and hearing his heartbeat for the first time! 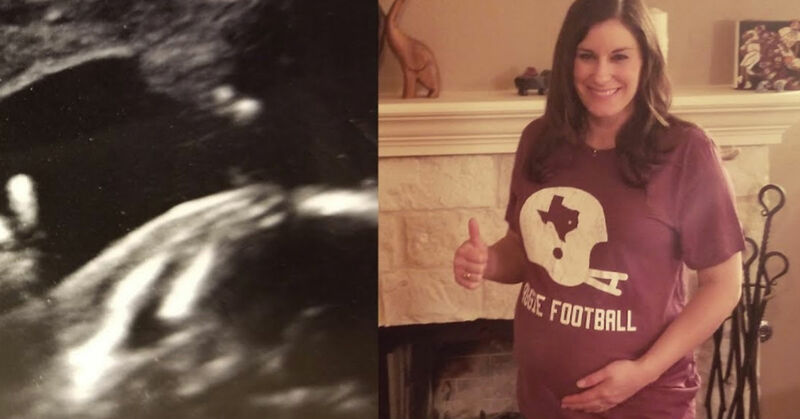 A couple who graduated from Texas A&M were surprised when they saw the sonogram image of their child. What made it more hilarious and special is when the child was signaling a support for the rival University of Texas! Samantha Perkins is 21 weeks pregnant, said she and her partner are both graduates and committed fans of Texas A&M University. Before they saw their sonogram results, the tech asked if they were University of Texas Longhorn fans. Surely not a common question asked during an ultrasound right? She told KTXS-TV that she and her husband looked at each other and was confused about the technicians’ question. They, later on, found out that the image of their baby would shock them! The fetus is flashing a UT “Hook ‘Em Horns” Sign! 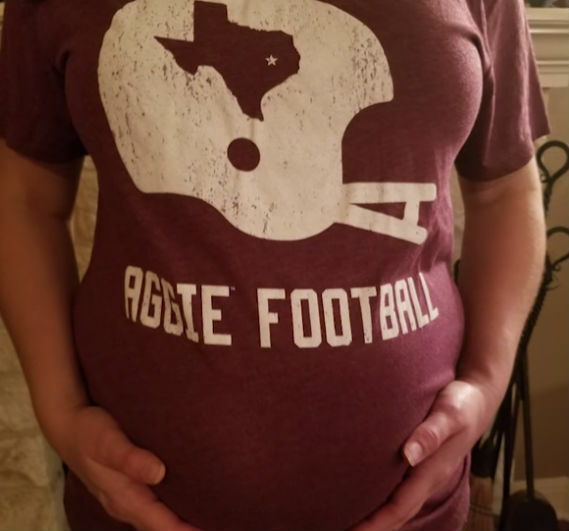 The couple shared that they already bought the baby some Texas A&M apparel that’s already waiting for heir baby who is due in January. 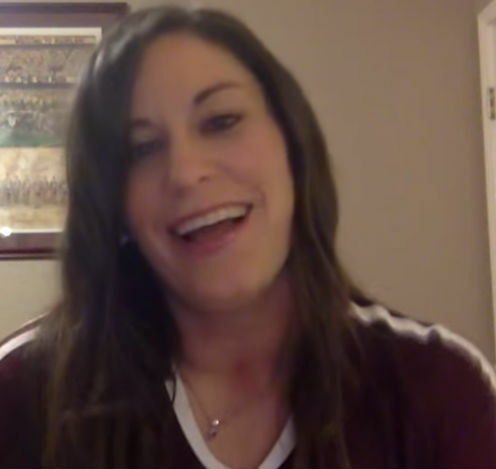 Perkins revealed that she wears maroon every weekend game and her grandpa was class of 38 and he was part of the Aggie band so when she grew up, this was the school that she wanted to attend. This is also where she met her husband and they are hoping for a 4th generation, Aggie! In fact, she mentioned that they will go to a game that night to make sure which team her baby should be rooting for! “Starting the brainwashing early,” Perkins joked. This is not the first time that we heard about these unique ultrasound results! In fact, parents from Utah named Makelle and Jared Ahlin of Santaquin were astounded when they saw their ultrasound result. They only wanted to know the gender of their baby but they didn’t know that they would see more. The moment they laid their eyes on the printout, they knew that it’s official, their kid will be a ‘heavy metal’ baby! This is because they noticed the baby has the fingers on hand gestured the sign of the horns, a symbol usually associated with rock n’ roll! Makelle decided to post this first picture of their baby on Facebook and it surely went viral, catching the attention of many individuals who loves rock n’ roll! On the other hand, there is another ultrasound capture of a kiss between twin fetuses. This is from a Pennsylvania couple and their ultrasound photo shows that their twin daughters are kissing in the womb while they are cuddling with each other! The mother Carissa Gill was 24 weeks pregnant and went to the fetal Vision Imaging in Levittown for an ultrasound together with her boyfriend. Gill said that she was surprised at what the ultrasound captured. According to her, pregnancy is such a beautiful thing, especially if you are able to capture a very special moment such as this. When she gave birth, she named the twins Isabella and Callie. Carissa Gill is right, pregnancy is truly one of the most beautiful miracles that this world has to offer. Sometimes kids already show their personalities even if they are still inside your tummy. Some people say that these ultrasound results are merely coincidental, still, it is amazing to look at. A once in a lifetime moment that does not happen most of the time.